Mucins are a family of high molecular weight, heavily glycosylated proteins (glycoconjugates) produced by epithelial tissues in most metazoans. 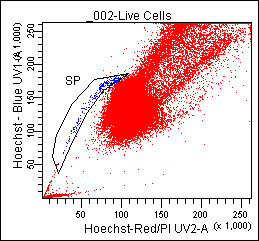 Mucins’ key characteristic is their ability to form gels; therefore they are a key component in most gel-like secretions, serving functions from lubrication to cell signalling to forming chemical barriers. 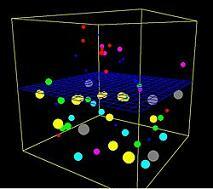 They often take an inhibitory role. Some mucins are associated with controlling mineralization, and bone formation in vertebrates. They bind to pathogens as part of the immune system. Overexpression of the mucin proteins, especially MUC1, is associated with many types of cancer. You’ll receive 30% off your Alcian Blue or PAS staining or both when you mention this article any time in July. As always, you will receive the highest quality histology in the quickest turn-around time. Contact Lori at the McGowan Core Histology Lab and ask about our Staining specials. 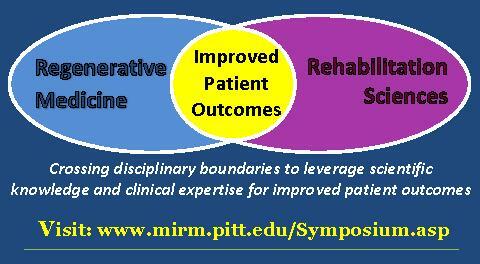 Email perezl@upmc.edu or call 412-624-5265. Design a flow experiment and need help? Check out our website or contact Lynda for more information. As reported by Michael Vlessides of Anesthesia News, using a statistical approach known as Random Forest modeling, real and artifact vital sign events from continuous monitoring data have been distinguished. The approach is an important step toward reducing the alarm fatigue that plagues so many health care practitioners. In the study which also included the efforts of McGowan Institute for Regenerative Medicine affiliated faculty member Gilles Clermont, MD, professor of critical care medicine, industrial engineering, and mathematics at the University of Pittsburgh, noninvasive monitoring data were recorded for patients in the institution’s 24-bed step-down unit over a period of 8 weeks. The data included heart rate (HR), respiratory rate (RR), blood pressure (BP), and peripheral oximetry. Deviations of vital signs beyond stability thresholds that persisted for 80% of a 5-minute moving window comprised important events. These stability thresholds were defined as HR 40 to 140 beats per minute; RR eight to 36 breaths per minute; systolic BP 80 to 200 mm Hg; diastolic BP less than 110 mm Hg; peripheral oxygen saturation (SpO2) greater than 85%. The researchers, reporting at the 44th Critical Care Congress of the Society of Critical Care Medicine (abstract 42), found that of 1,582 events, 631 were labeled by consensus of four expert clinicians as either real alerts, artifacts, or “unable to classify;” another 795 were labeled as “unseen.” Random Forest models, which use an ensemble of algorithms that together provide increasing predictive accuracy, were then applied to the 631 labeled events; the models were trained to differentiate real events from artifacts, and then were cross-validated to mitigate overfitting. The resulting model was then applied to the 795 unseen events, which were reviewed by the experts for external validation of Random Forest events. 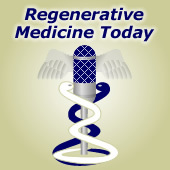 Illustration: Regenerative medicine patient Sgt. Ronald Strang. – Pitt Magazine. McGowan Institute for Regenerative Medicine affiliated faculty member Igor Nasonkin, PhD, has recently learned how to grow a 3D layer of early human retinal cells in the laboratory, with hopes of one day implanting them in people with damaged retinas. Dr. Nasonkin, who has a doctorate in human genetics and is director of the University of Pittburgh’s Retinal Repair Laboratory and the assistant director of the Louis J. Fox Center for Vision Restoration of the University of Pittsburgh Medical Center and University of Pittsburgh, doesn’t want to pinpoint when his techniques might be tried in human patients, but said other kinds of human tissue transplants in the eye have paved the way for his group’s work. 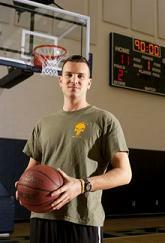 His research was recently highlighted by Mark Roth of the Pittsburgh Post-Gazette. “It looks like if you push cells to a certain stage,” Dr. Nasonkin said, “they can self-assemble as long as you feed them the right nutrition.” And that means scientists may soon be able to create a complete “retinal patch” for people with retinitis pigmentosa or other diseases. Photoreceptor death in retinal and macular degenerative diseases is a leading cause of inherited vision loss in developed countries. Vision loss may be devastating and urgently requires new ideas, approaches, and paradigms on the molecular level, to alleviate this condition. Novel therapeutic strategies have recently emerged, from mechanical to cell-based, to repair neural circuits affected by photoreceptor (PR) cell loss. Trophic factor delivery to extend the life of dying PRs has been pursued in experimental animals, and in some instances, in the clinic. Gene therapy approaches have been applied successfully in one type of Leber congenital amaurosis (LCA). Retinal implants designed to capture photons and transmit the electric signals to ganglion cells have been used in the clinic with some promising outcomes. The transplantation of retinal cells into mammalian retina produces variable outcomes and success, yet seems very promising due to some rare successful experiments demonstrating the efficient integration of retinal cells into the recipient retina. A greater understanding of biology and improvements in methodology are required before such protocols may be introduced into the clinic. The major obstacles to retinal cell replacement are the elusive molecular signature of the “transplantable” retinal progenitor, the specific synaptic integration of such cells into preexisting neural retinal circuitry of the host, and the ability of grafted retinal cells to migrate through the impermeable outer limiting membrane and position themselves into the required retinal niche (such as photoreceptor layer). A combination of retinal stem cell grafting and trophic factor delivery has recently emerged as a fruitful direction to alleviate vision loss by slowing down the death of retinal cells, especially photoreceptors. Such direction may not necessarily require the integration of transplanted cells into specific retinal layer, yet may produce long lasting positive therapeutic effect, and should be definitely explored further. Induction of the endogenous regeneration in mammalian CNS, including retina, is still an unattainable goal of therapies aimed at repairing age-related vision loss and retinal trauma. However, some lower species, such as fish, amphibians, and to some extent, birds, have active regenerative mechanisms in the eye, which last throughout their lives. Regeneration requires the endogenous retinal cells (either dormant stem cells or postmitotic mature cells in retina) to reenter the mitotic cycle, differentiate into the cell type needed for retinal repair, and replenish the lost cells. Understanding the molecular mechanisms governing the developmental plasticity of a retinal cell is the key to be able to induce mature retinal cells to revert to immature progenitors. Epigenetic mechanisms are one likely avenue, which should be explored to change the plasticity of retinal cells and enhance the endogenous regeneration in the retina. Eventually, Dr. Nasonkin envisions a retinal eye bank derived from adult stem cells that will contain enough different types of human tissue to be compatible with most people’s immune systems. Pregnant women living close to a high density of natural gas wells drilled with hydraulic fracturing were more likely to have babies with lower birth weights than women living farther from such wells, according to a University of Pittsburgh Graduate School of Public Health analysis of southwestern Pennsylvania birth records. The finding does not prove that the proximity to the wells caused the lower birth weights, but it is a concerning association that warrants further investigation, the researchers concluded. The study was funded by The Heinz Endowments and published in PLOS ONE. Unconventional gas development includes horizontal drilling and high volume hydraulic fracturing, known as “fracking.” It allows access to large amounts of natural gas trapped in shale deposits. Prior to 2007, only 44 wells were known to be drilled in Pennsylvania’s Marcellus Shale with such technology. From 2007 to 2010, that expanded to 2,864 wells. The Pitt Public Health research team cross-referenced birth outcomes for 15,451 babies born in Washington, Westmoreland, and Butler counties from 2007 through 2010 with the proximity of the mother’s home to wells drilled using unconventional gas development. They divided the data into four groups, depending on the number and proximity of wells within a 10-mile radius of the mothers’ homes. Mothers whose homes fell in the top group for proximity to a high density of such wells were 34 percent more likely to have babies who were “small for gestational age” than mothers whose homes fell in the bottom 25 percent. Small for gestational age refers to babies whose birth weight ranks them below the smallest 10 percent when compared to their peers. In southwestern Pennsylvania, the waste fluids produced through hydrofracturing, called “flowback,” can contain benzene. Unconventional gas development also creates an opportunity for air pollution through flaring of methane gas at the well heads and controlled burning of natural gas that releases volatile organic compounds, including benzene, toluene, ethylbenzene, and xylene. Increased truck traffic and diesel-operated compressors also can contribute to air and noise pollution. Shaina L. Stacy, PhD, a recent graduate of Pitt Public Health, is lead author on this research, and Evelyn Talbott, DrPH, epidemiology professor at the school, is senior author. Additional authors are LuAnn L. Brink, PhD, and Bernard D. Goldstein, MD, both of Pitt Public Health; and Jacob C. Larkin, MD, and Yoel Sadovsky, MD, both of Magee-Womens Research Institute and Pitt School of Medicine. Dr. Michalopoulos is the Maud L. Menten Professor of Experimental Pathology and chair of the Department of Pathology. His research focuses on new therapies for liver fibrosis and the disease mechanisms in alpha-1 antitrypsin deficiency. Dr. Michalopoulos received his medical doctoral degree at Athens University School of Medicine, Athens, Greece, in 1969. A residency in Anatomic Pathology and a PhD study in Oncology were completed at the Wisconsin Medical Center in Madison in 1977. 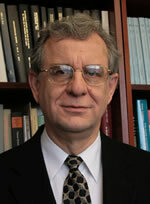 Dr. Michalopoulos moved to Duke University as an Assistant Professor in 1977 and stayed at Duke University until 1991. 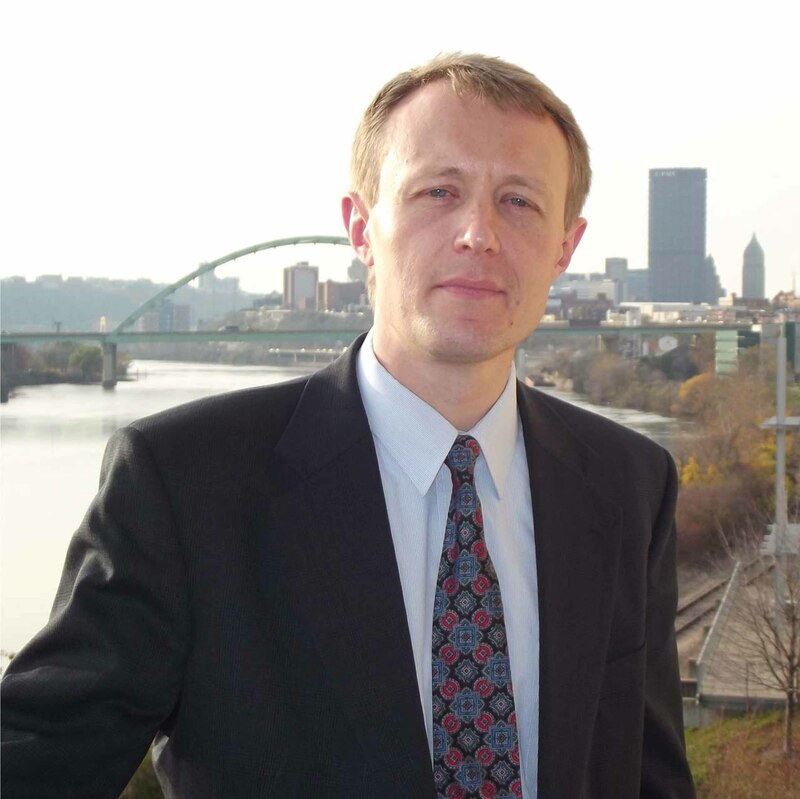 He then moved to Pittsburgh and joined the University faculty in April of 1991. In addition to his current appointment, Dr. Michalopoulos also served as Associate Vice Chancellor for Health Sciences and Interim Dean of the School of Medicine from November of 1995-1998. 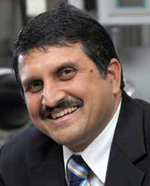 In 2012, he was honored with the title, University of Pittsburgh Distinguished Professor. Catalina Pineda Molina is a doctoral student in the Bioengineering Department at the University of Pittsburgh and works in the laboratory of McGowan Institute for Regenerative Medicine deputy director Stephen Badylak, DVM, PhD, MD. 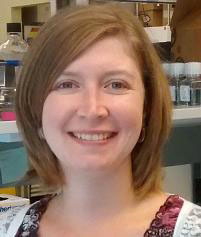 Her research interests are focused on the immune-modulatory effects of adipose derived stem cells used in combination with extracellular matrix scaffolds for regenerative medicine applications. As reported by Christina Rouvalis, Pitt Magazine, Ms. Molina is a Fulbright Scholar striving to help humanity from a scientific angle. She does research to create new devices to treat disabling conditions such as osteoarthritis, diabetes, and loss of tissue due to trauma. She also wants to advance biotechnological research in Columbia (her home country), where the field is still in its infancy. The Fulbright Program is a program of highly competitive, merit-based grants for international educational exchange for students, scholars, teachers, professionals, scientists, and artists, founded by United States Senator J. William Fulbright in 1946. Under the Fulbright Program, competitively selected U.S. citizens may become eligible for scholarships to study, conduct research, or exercise their talents abroad; and citizens of other countries may qualify to do the same in the United States. The Fulbright Program is one of the most prestigious awards programs worldwide, operating in over 155 countries. The program was established to increase mutual understanding between the people of the United States and other countries through the exchange of persons, knowledge, and skills. The Fulbright Program provides 8,000 grants annually to undertake graduate study, advanced research, university lecturing, and classroom teaching. As of 2013, more than 325,400 persons—122,800 from the United States and 202,600 from other countries—have participated in the program since it began. #148 – Dr. Kirk Conrad is a Professor in the Departments of Physiology and Functional Genomics, and of Obstetrics and Gynecology at the University of Florida College of Medicine. Dr. Conrad discusses his research in the mechanisms underlying the massive systemic maternal vasodilation and increased arterial compliance that transpire during normal pregnancy. 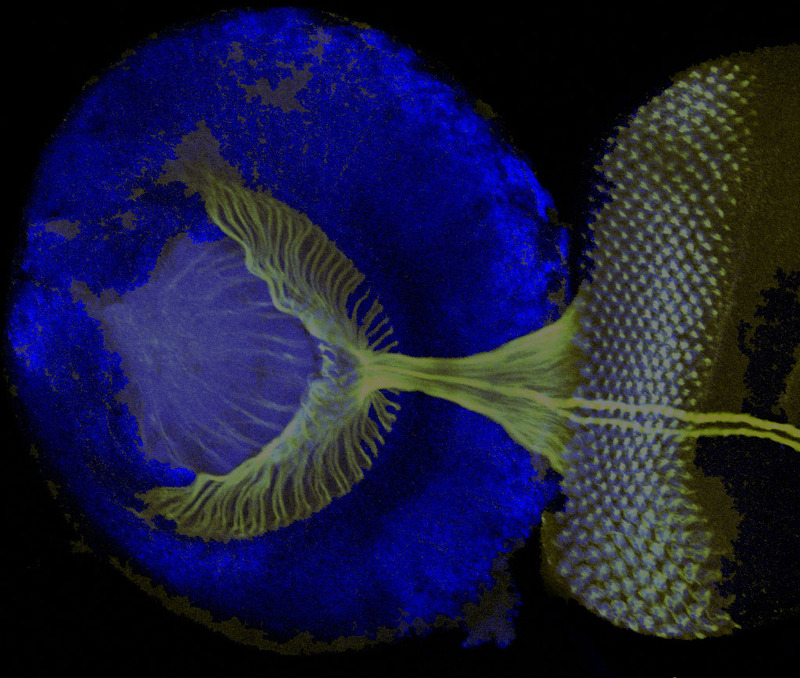 Developing retina and brain of the Drosophila pre-pupal stage animal is viewed as a whole-mount tissue stained with nuclear stain DAPI (Blue) and MAb22C10 (green) that highlights the growing axons of photoreceptor neurons as they extend into the brain were they fan out in the brain to build the retinotopic map. Confocal serial plane reconstruction. By John A. Pollock.